poetry, art, music and literature...but mostly poetry! The sign beckons you from Interstate 55 to visit the Mother Jones Monument in Mount Oilve, Illinois. A few quick turns and a left off the remnants of the Mother Road itself — Route 66 — you see the monument to "the most dangerous woman in America" rising out of the back corner of the centuries old cemetery. The monument contains the second of a two stanza poem by James Aldrich. Mother Jones (1830-1930) became a labor organizer and cofounded the Industrial Workers of the World. 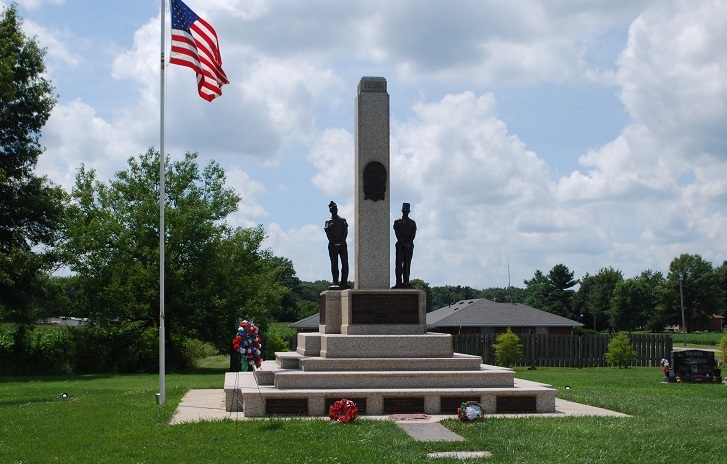 Mary Haris Jones got involved in worker rights after her dress shop was destroyed in the Great Chicago Fire of 1871.She is buried in the Union Miners Cemetery in Mount Olive, Illinois, alongside miners who died in the 1898 Battle of Virden. On 11 October 1936 — Miners' Day — fifty thousand people arrived in Mount Olive to see the unveiling of a new grave stone and memorial for Mother Jones. 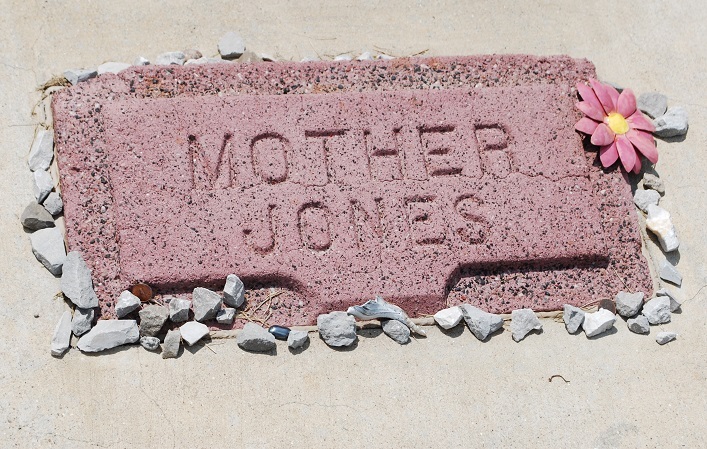 Locals now recognize October 11 as Mother Jones Day. Her spirit lives on in the magazine that bears her name — Mother Jones. James Aldrich (1810–1856) was an editor and poet who founded the New York Literary Gazette where most of his poetry first saw the light of day. After his death, his daughter published his poems in a collection and distributed them privately. It is an excerpt of his most famous poem — A Death-Bed — that appears on the Mother Jones Monument. A second, anonymous verse is also inscribed on the monument for which no origin has yet to be found. "Let no traitor breathe o'er my grave." W.H. Auden's Elegy for J.F.K. The Poem that inspired the title "Gone With the Wind"
What's the expected first line on the first day of a New Year? I don't know either. All poems © respective authors. Site © 2010-18 Bar None Group. Images © Mark Butkus unless stated. Simple theme. Theme images by hdoddema. Powered by Blogger.